Hosted by Motto Bookstore and Chert Gallery, Berlin. 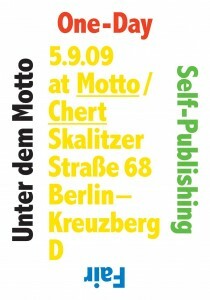 Motto Berlin is proud to invite you to the event “Unter dem Motto – One Day Self Publishing Fair”, organized in occasion of a weekend dedicated to art publications in Berlin. 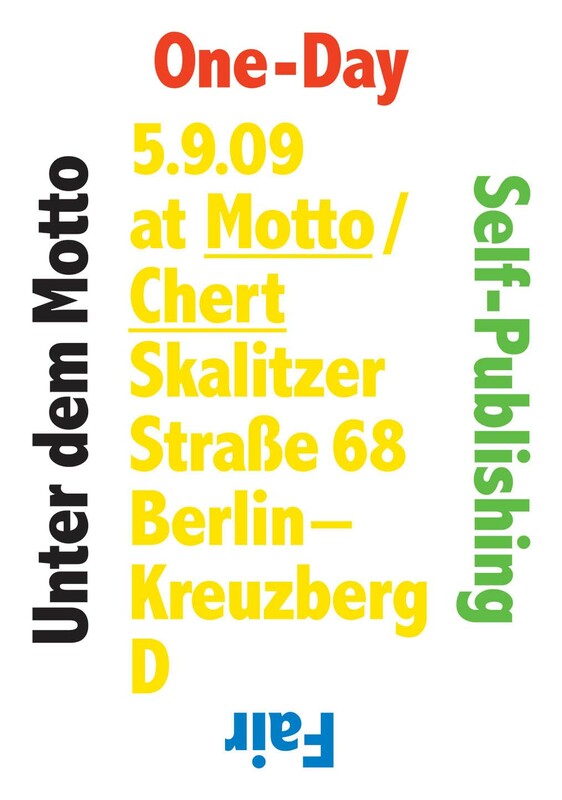 On Saturday, September 5th, 60 publishers coming from 18 countries, selected by Nieves, Rollo Press and Motto, will fill the spaces of Motto bookshop and Chert gallery with their productions. This one-day event presents an eclectic mix offering a careful overview on the importance and constant growth of autonomous publishing nowadays, from home-printed zines to publications by renowned institutions. 40+ booths will give the oportunity to the audience to meet the publishers and browse titles in a friendly athmosphere. 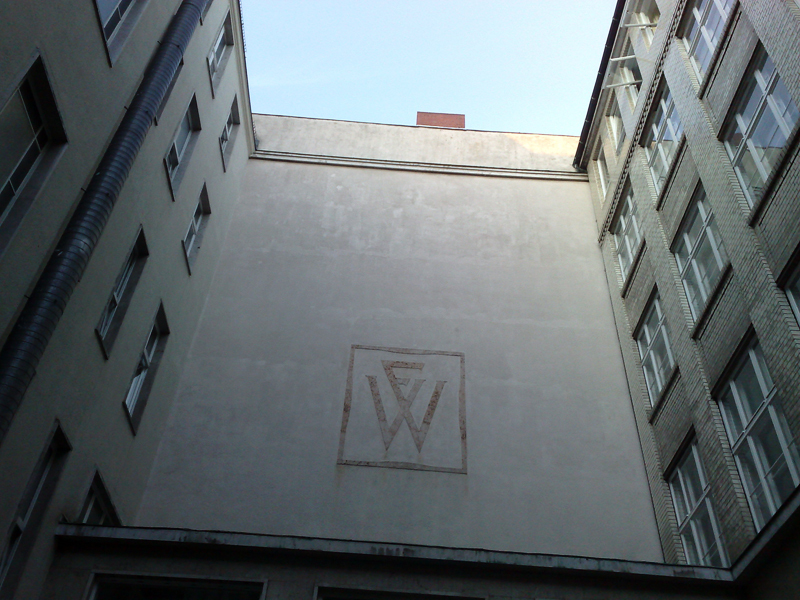 This entry was posted	on Saturday, August 29th, 2009 at 5:06 pm	and is filed under art, books, fairs, illustration, magazines, Motto Berlin store, photography, zines. You can follow any responses to this entry through the RSS 2.0 feed.